AB de Villiers says that the sole reason behind him quitting international cricket was that he wanted to be sharp for the little time that he is on the field. 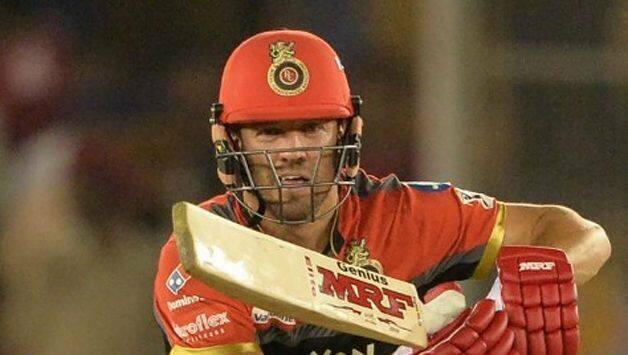 The asking rate was touching 13 with three over left in the Royal Challengers Bangalore (RCB) innings, but the talismanic AB de Villiers was still at the crease and looking in fine form. 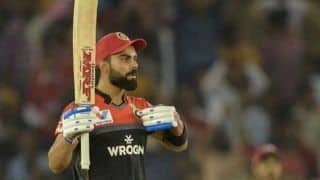 And the South African took RCB to their first win of this edition of the Indian Premier League (IPL) with an unbeaten knock of 59 off 38 balls. Speaking after their eight-wicket win against the Kings XI Punjab (KXIP) on Saturday, man-of-the-match De Villiers said that he was waiting a long time to return to form after an inconsistent run so far in the season. The former Proteas skipper also hoped that he can now maintain the momentum. The former Proteas skipper also welcomed Dale Steyn into the unit. “Was a fantastic move to get Dale involved. We all know what he’s capable of. One thing for sure is he’ll give 200% with every ball. We know what we have to do. We have to win a lot of games of cricket. 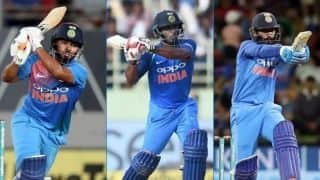 The next step is Mumbai, the Wankhede stadium. We love playing cricket there,” he added.